You are right about one thing; find yourself a new doctor, not only because he never has touched your foot but because by seven weeks post trauma you should be making major advances in reduction of pain and you simply are not. I do not know if you have had any further x-rays since your emergency room visit, but at the very least new x-rays would be indicated. Sometimes small breaks in the bones will not show up on initial x-ray but will be evident 10-14 days later. are in as much pain as you state, an MRI will be indicated. The MRI not only will reveal any soft tissue damage such as torn ligaments or tendons but it is also good at picking up fractures that may not have shown up on x-ray. Since both feet were injured, as you mention, it was impossible to use crutches and the fact that you could not be non-weightbearing on your foot/feet has certainly delayed the healing as one of the best ways to heal almost any kind of musculo-skeletal injury to the foot and ankle is to stay off of it. 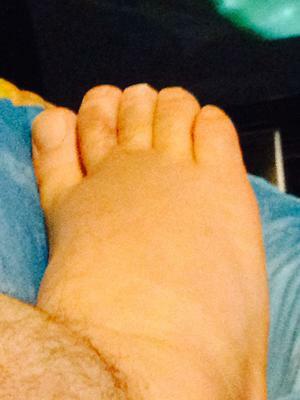 You have enclosed pictures and have described your injury in terms of the pain that you are experiencing and what you can and cannot do with your foot and ankle, but quite frankly that gives me no clue as to what is exactly wrong and the extent of what type of injury you sustained to your feet. That is why you are going to need further imaging studies. Additionally, I cannot offer any advice on how to go about treating this problem going forward other than to suggest you try and stay off your feet as much as possible until you have been examined by the new doctor and you receive a definitive diagnosis. In a best case scenario, perhaps there are no fractures, dislocations, or soft tissue damage and all you will need is physical therapy to help move the healing process forward. In a more severe scenario you may actually have a fracture that has not been previously identified, perhaps a dislocation of some sort, or there is a torn ligament or tendon and at least then whatever issue you have can be addressed by your new doctor and finally be adequately treated. Thank you for your rapid response, I do appreciate it. 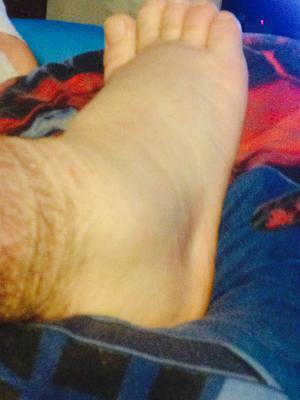 They did say I have soft tissue damage but as if it's no big deal. I have returned to work which entails walking all day, doctor restricted no ladder climbing or lifting over 25 pounds. What I can't understand is the pain and difficulty of walking ,I look like I'm in the walking dead :) .. I was injured on May 23 and I'm just thinking that this is highly unusual that I'm still experiencing such difficultly walking ( I use a cane ) is soft tissue damage bad? If not properly treated, it can lead to permanent pain.